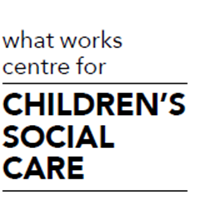 The What Works Centre for Children’s Social Care is a new project to foster evidence-informed practice in the sector in England. The development team will help establish the centre by summer 2020. Keep up to date on the latest news from the What Works Centre for Children's Social Care Development Team by completing the form below. By signing up you are agreeing to receive updates, event listings, requests to participate in our research, and partner information from the What Works Centre for Children's Social Care Development Team.